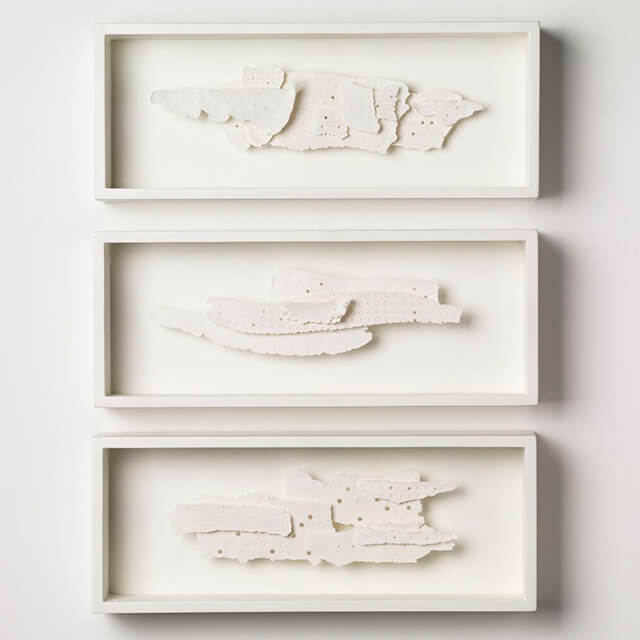 A set of 3 framed compositions of delicate porcelain pieces. 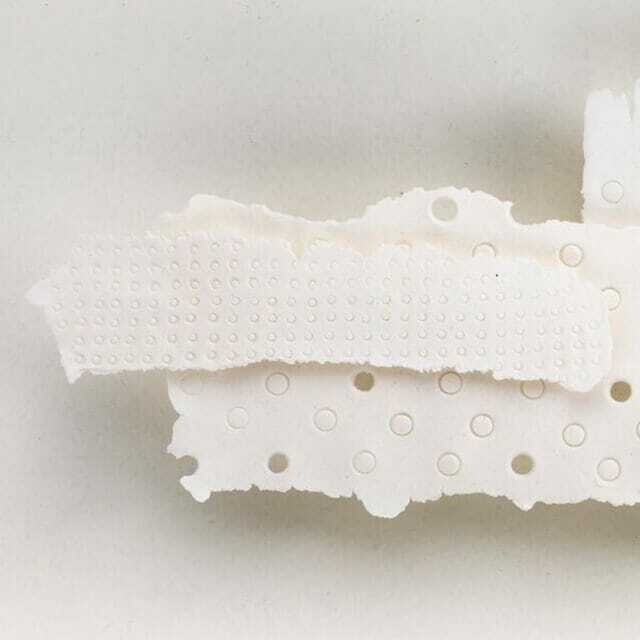 These delicate porcelain compositions are framed to create depth, and encourage a strong play of light and shadow across their varied surfaces. As the viewer’s eye moves around and across the pieces, the light and shade change constantly to create new shadows and offer fresh visual connections.